A giant Tarantula has been discovered in northern Sri Lanka. 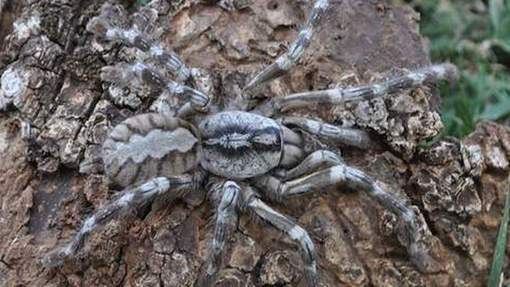 Named as Poecilotheria Rajaei, it lives in the trees and has the size of a human head. The photos of these new species of Tarantula, discovered by researchers from Sri Lanka, are very impressive. Most remarkably, the spider has a very large size. This particular tarantula has strange spots on the legs and a pink band on the abdomen. This species was for the first time identified in 2009 with the discovery of a dead male of this kind. 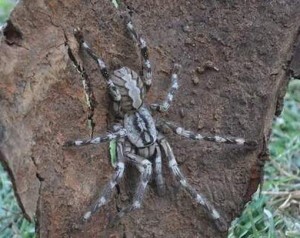 This new species of Tarantulas was again noticed by a research team led by Ranil Nanayakkara. The team was able to to examine several females and their little offsprings. According to researchers this Tarantula lives mainly in India and Sri Lanka. “They are very rare,” says Ranil Nanayakkara in British Tarantula Society Journal . These spiders live in old trees but in Sri Lanka their number has declined sharply due to deforestation.